You might think that one of the most famous people on the planet right now would want to protect the device on which he stores all of his accounts, photos, conversations, and contacts, but you would be wrong. 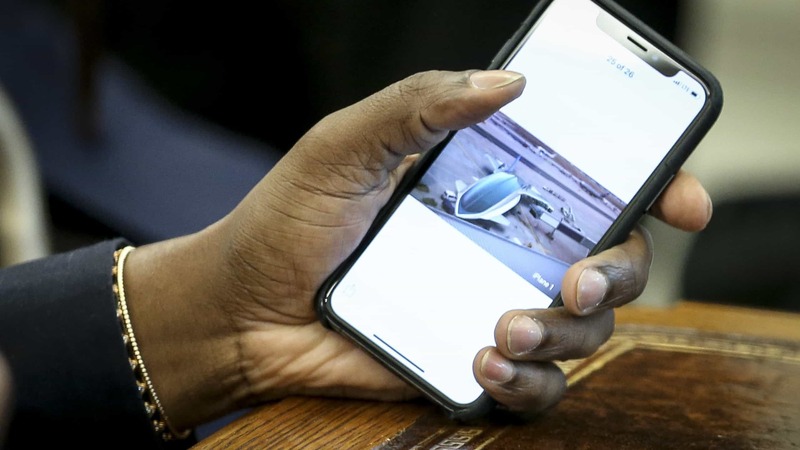 All cameras were on Kanye West during his visit to the White House, and when he took out his phone to show the president his suggestion to replace Air Force One, called iPlane 1, he punched in his passcode. If you were to begin guessing the six-digit code, you'd probably start with the lowest number and work your way up. Well, then, you'd have access to Kanye West's phone. That's right, his passcode is: 000000. If only that was the most ridiculous thing revealed during his meeting with Donald Trump. West also let it slip that he leaned away from Hillary Clinton and towards Trump partly because of the masculine energy he felt he was offered on one side and not the other. "I love Hillary, I love everyone right. But the campaign 'I'm With Her' just didn't make me feel, as a guy that didn't get to see my dad all the time, like a guy that could play catch with his son." How West's attachment to a false sense of masculinity ties into the current political climate is for another time. It gets worse. An industrial designer spoke to The Verge and is claiming that West's so-called iPlane 1 is actually from his 2012 master's thesis imagining the future of air travel in 2030, adding that he has no idea how West found his designs or why he decided to steal them. Perhaps rapper T.I., West's friend and collaborator said it best. "From what I can gather... This is the most repulsive, disgraceful, Embarrassing act of desperation & auctioning off of one’s soul to gain power I’ve ever seen," he wrote on Instagram. T.I. accused West of doing this all for himself, refusing to associate with "something so vile, weak, & inconsiderate," and adding, "If you listen closely you can hear the tears of our ancestors hit the floor." The rapper also said he was "ashamed" to have ever been associated with West, essentially ending their entire relationship in one fell swoop. Is Meghan Markle being forced into fertility tests? What part of fame does Chris Hemsworth feel "gross" about?